It is awesome that you have an interest in a larger world. A wonderful world full of wonderful characters, both good guys and bad guys and some, well, misunderstood. 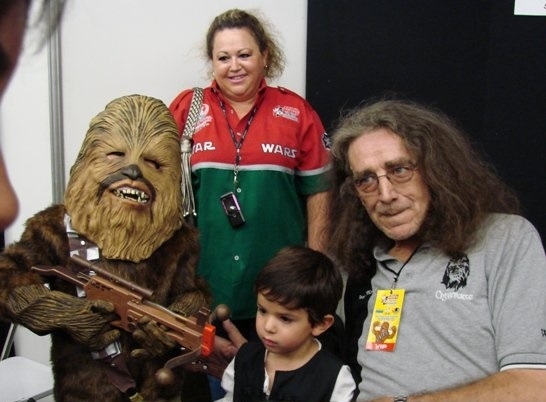 I'm Peter Mayhew and I played the Wookiee Chewbacca in Star Wars and I hope to see you and your families at a convention some day. Star Wars people have become a big part of my extended family and I love it when I get to meet folks in costumes. So, welcome into the wonderful world of the Galactic Academy where you will meet lots of friends who also enjoy costuming. I'm looking forward to seeing all of the costumes so get a picture of yourself in your costume and post it here and hopefully, we'll see you at a convention someday and have our picture made together as well.